Meet Trixie, he’s a goat. We met Trixie recently while checking out other barn animals. Our attention at first had been drawn to the little brown ponie who was overly friendly. The pony stuck his head over the fence and practically demanded to be petted and fed. Our children loved the warm greeting! Further down the oblong barn movement caught our eyes, then a goat stuck its head through the wooden gate of its pen. We met Trixie because Trixie wanted to eat. I am convinced the goat craved attention and food. He wanted our attention, the attention the overly friendly pony was getting. So Trixie stuck his head out…and got stuck. That’s right, Trixie maneuvered his head (horns and all) through the slotted wooden gate. He managed to get his horns through but once through he was truly stuck. 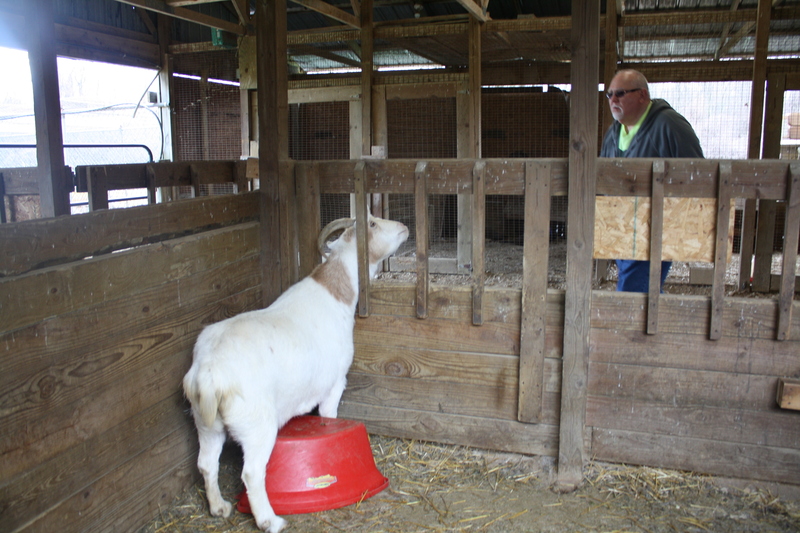 We discovered Trixie’s predicament when we happened to walk around the outside of the open barn to get a better look at the other animals. Sure enough, with the smell of barn animals and the sounds as well, Trixie was not going anywhere. The red feeding bucket he had stepped onto in order to get into the predicament had shifted and his horns were now extended through the bars. Trixie began to panic. He was stuck and he could not untangle himself…he was powerless. So what were we to do? 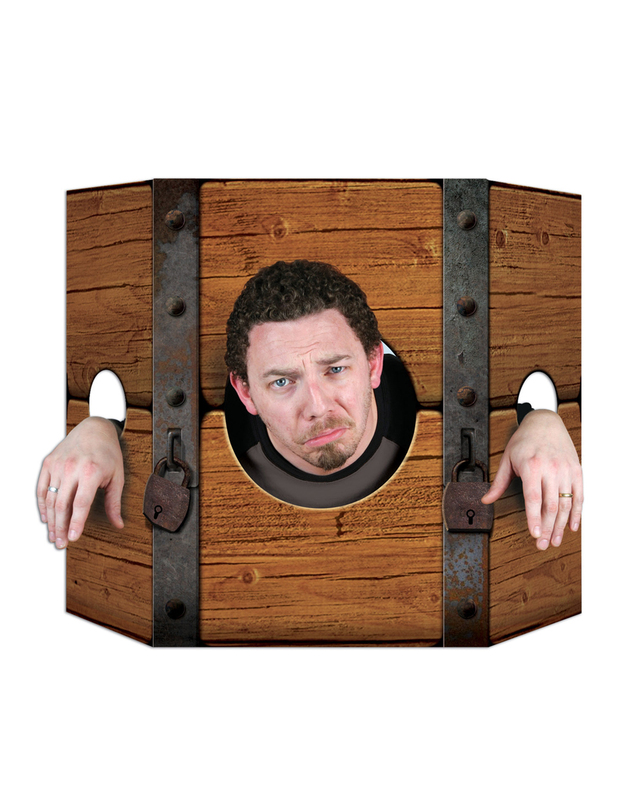 Help free him from his Bovade wooden stockade? We couldn’t leave him there, trapped as he was. Trixie needed help. He need someone from the “outside” to come inside the goat pen and free him. Naturally it was his fault, but he was clueless and helpless to save himself…he was dead-mutton (sorry, I couldn’t help myself). We worked and worked. The screws which held the wooden slats in place were in deep and would not surrender their place without a fight. 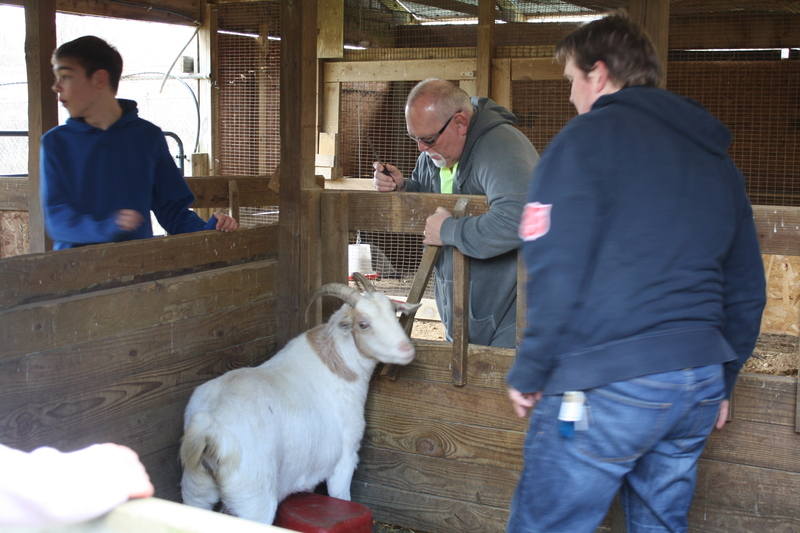 At first the screws would not budge…then after some prying and pulling the wooden goat-prison began to loosen. The whole time we worked and pulled, Trixie was frightened and extremely nervous. I can only imagine what goes on in the mind of a goat when it seems their “time has come”. Trixie nibbled on my Father’s hoodie a bit, occasionally being scolded for doing so. Finally, and with a lot of strength and maneuvering Trixie was freed. His horns and head no longer locked inside a self-made prison. If Trixie was happy about being we free, he didn’t really show it. But perhaps there was some gratitude as we fed him some fresh straw and reassured him everything was alright. Perhaps…just perhaps Trixie will remember this day and refrain from getting stuck again…I’m not too hopeful though. Are We stuck in self-made prisons? Like Trixie, we as people often find ourselves stuck. We make dumb choices, we wedge ourselves into situations and suddenly we are locked in – horns and all with no means of escape. Have you been there? Are you there right now? These decisions could include sin issues, but it’s not exclusively just about sin. If they are sin issues then find your freedom today by confessing your sins and accepting Jesus’ forgiveness and His salvation! “For all have sinned and fallen short of the glory of God” -Romans 3:23 We are all guilty and need saving…we are all in need of being freed from our stockade of sin. For some of us, we are already free yet feel tempted at times to find our way into prison again. Beware of these trappings of the allure…sticking your neck out and buying into sins allure can be deadly! 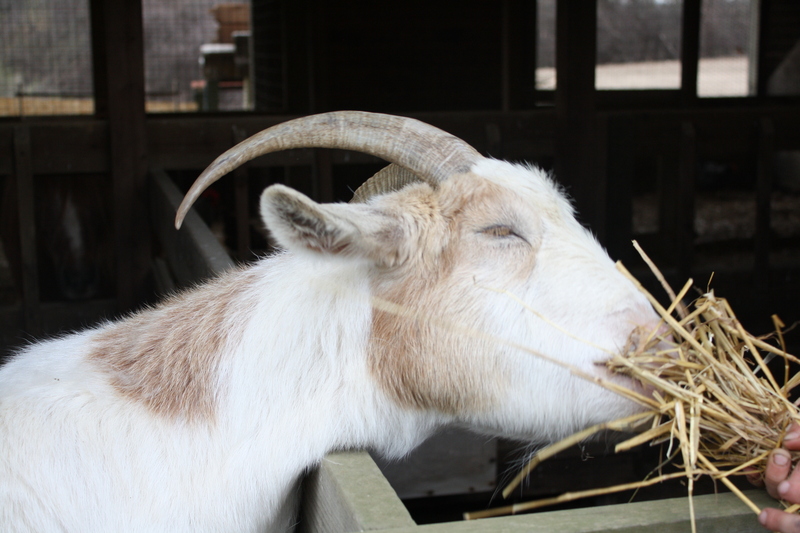 -Something to ponder today…all from a goat named Trixie.